Sunshine birding in the Nicoya Penisula, this is the place to meet a great mix of marine and dry forest birds in the North Pacific of Costa Rica! There is such a place! To the discoverers of the New World it was, aptly, “Rich Coast”. 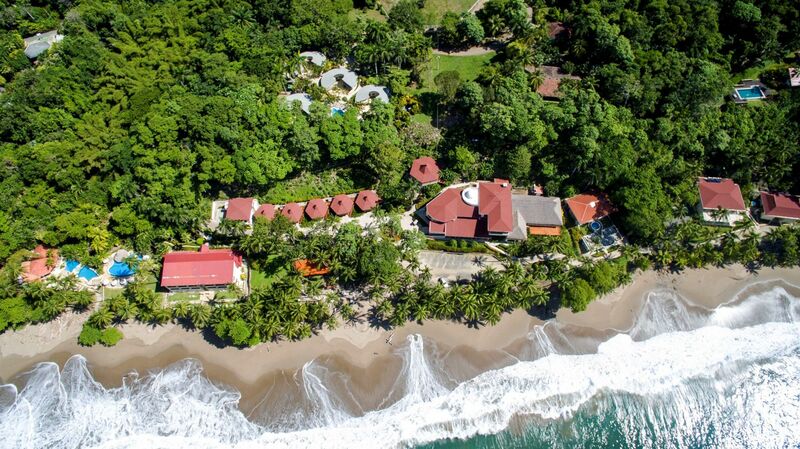 Located on a 150-acre private beachfront reserve along the Nicoya Peninsula on the Pacific Coast, Tango Mar offers the intimate exclusivity of a small, deluxe hotel on a vast site where you can find a space to call your own. Here is a place that is charmed by a unique atmosphere, its own microclimate and favorable all year round conditions. Manicured grounds and fine accommodations blend with exuberant jungle vegetation and amazing birds and animals to create the perfect balance of nature and refinement. Here you will encounter a living community with a pulse that beats in time with its natural surroundings and to the push-pull rhythm of the constantly breaking Pacific waves. The Quizales beach located in front of the hotel is the perfect spot for marine birds, also in the hotel grounds and reserve visitors will find a high variety of birdlife. The location of Tango Mar let also great birding in the local hotspots including Pochote mangroves, Tambor Bay, Curu reserve, Cabo Blanco National Absolute Reserve and the Nicoya Gulf island.